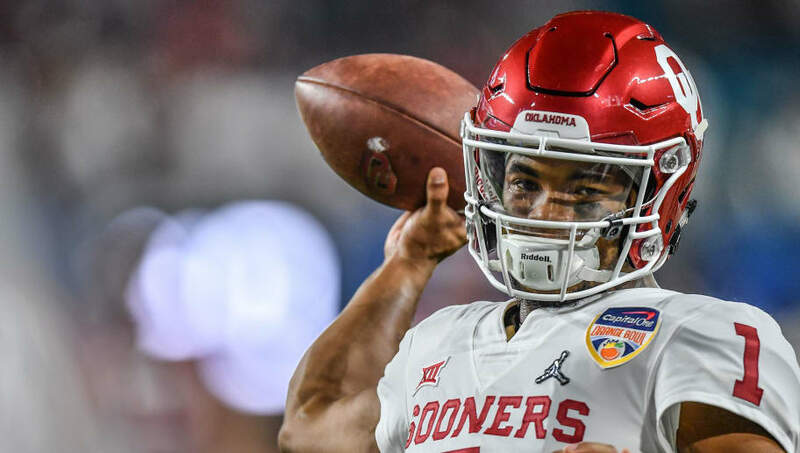 Former ​Oklahoma Sooners quarterback ​Kyler Murray made it official on Monday that he would be choosing the ​NFL over baseball. Murray took to his Twitter account to let the sports world know that moving forward, he would be "firmly and fully" committing his life to becoming an NFL quarterback. So what does that mean for his contract with the Oakland A's? According to MLB insider Jeff Passan, Murray will return most of his $1.5 million signing bonus that the ball club gave him last year, while forfeiting the remaining $3.16 million he would be due in March. ​​The A's will also put him on the restricted list and retain his baseball draft rights, but will not receive a compensatory pick at the end of the first round this year, which is somewhat surprising. Earlier Monday, A's president Billy Beane was holding out hope that Murray would stay the course with baseball. Unfortunately, the timing of his announcement jarred Oakland brass, changing the franchise's course. Obviously, the higher in the draft Murray goes the better for his financials. If Kyler is the last pick of the first round in the NFL Draft​, he will receive a signing bonus roughly in the $5 million range, along with about $10 million of guaranteed money. Kyler Murray received a nearly $5M signing bonus from the @Athletics, which he’ll have to repay (rather than report to Spring Training this week). If he’s the last pick of the first round, he’ll get a roughly $5M signing bonus and about $10M guaranteed. ​​Yeah. We totally get it.